The Disciplinary Committee of the Ghana Football Association will be sitting on Friday, April 27, 2017 at 3pm to adjudicate a number of cases that are ready for hearing. All Misconduct Cases for which clubs, players and officials have waived their rights to personal hearing and have sent their Written Statement of Defence in respect of charges preferred against them by the GFA Prosecutor will be adjudicated the Disciplinary Committee. 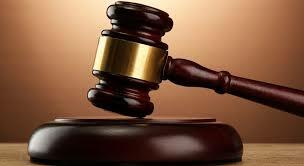 All Misconduct Cases for which clubs, players and officials have opted for Personal Hearing in respect of charges preferred against them by the GFA Prosecutor will be adjudicated by the Disciplinary Committee. Kindly note that per the GFA Statutes and Regulations, Protests from clubs do not require personal hearing unless the Disciplinary Committee deems it fit to call the parties to its hearing. Parties are reminded that the GFA Disciplinary Committee shall adjudicate the cases immediately the exchange of the processes (Protest, Defence and Reply if required) in the matter are fully exchanged and the matter has become ripe for adjudication.